This post was originally published at http://yesthattoo.blogspot.in/2012/04/yes-that-too-to-i-wish-i-didnt-have.html and is reprinted here with permission from the author. That hand flapping? It’s a whole other language for people who understand it, and it usually means OH MY GOD I AM SO HAPPY!!!! Because Aspergers and happy are not mutually exclusive. Autism in general and happy are not mutually exclusive. When I finally do get to an actual logic-based debate, I can do some serious damage. Like, I didn’t do my research at all, I have no evidence, but my opponent just dropped a piece of evidence that actually supports what I want to say if you look at the logic and the science of the matter. And that one mistake will let me win the whole debate anyways. That happened. In college. In an honors class. And autism is not mutually exclusive with going to college. I don’t really do the party thing because I’m just not that interested, but I have had a roommate the whole time, lived on campus, and it’s been fine. My professors like me. Even the roommate I was a bad match with is a friend- we just shouldn’t room together. The issue there wasn’t even an autism problem. It was a “I go to sleep at 8pm. You go to sleep at 2am. That no workity,” problem. I have three majors. College is AWESOME. I can’t speak for you (no one can but you, no matter what anyone says about them speaking for you,) but I know that I personally prefer to stay autistic. This preference is legitimately to the point where if the person offering the cure decided to force the issue, I would probably go into “I am fighting to kill” mode before letting the them do so. I’d go for the peaceful stuff first, but if it comes down to it, I am staying autistic. Period. P.S. I totally was not always this cool with being autistic. Mainly when I was still young enough that special ed people could have been abusive if they found out, and gotten away with it by calling it therapy. I was actually the first person to put the pieces together that I was autistic, and I hid it for the longest time. It was seven years from when I figured it out until the second person, a fellow autistic who apparently has autism-dar (like radar) or something, figured what was going on. After that, it was another year until anyone with authority started getting suspicious. By that point, I was a junior in high school who had already gotten a 5 on the AP test for BC Calculus, so it wasn’t as if anyone was going to get anywhere trying to use the “autistic=incompetent” idiocy. And even though I really did know, it wasn’t until very recently that I fully accepted the fact that yes, I am autistic. Not having been diagnosed also meant that no one called it wandering when I went out for walks on my own. Because I did spend a weekend in Beijing entirely alone about a month before I turned seventeen. It was AWESOME, at least in retrospect. This post was originally published at http://juststimming.wordpress.com/2012/05/01/truth-is/ and is reprinted here with permission from the author. As long as being disabled means being unsafe, then no one is safe. Not really. Disability is a natural part of the human experience according to the ADA. Most people will experience some form of disability, for some period of time, at some point in their lives. So long as we as society keep permitting exceptions to rules like everyone is a person and treat people like people, none of us are safe. Safety earned by staying within acceptable margins isn’t safety at all. I promised to be honest. Part of being honest is looking at what my words actually mean, what lies beneath them, what ideas are controling are what I say. And underneath every I wish I wasn’t autistic is a I wish people would stop hurting me or a I wish the world had room for me or a if I blame myself, I can feel like I’m in control. This post was originally published at http://mybigfatfamilyblog.wordpress.com/2012/04/30/i-wish-i-didnt-have-aspergers-autismpositivity2012/ and is reprinted here with permission from the author. This is a flash blog… read on and join in. We are asking every blogger in the autism community to write a message of positivity to #IWishIDidntHaveAspergers. So that next time that individual (or another) types that sad statement into Google, he or she will find what they need – support, wisdom, and messages of hope from those who understand. 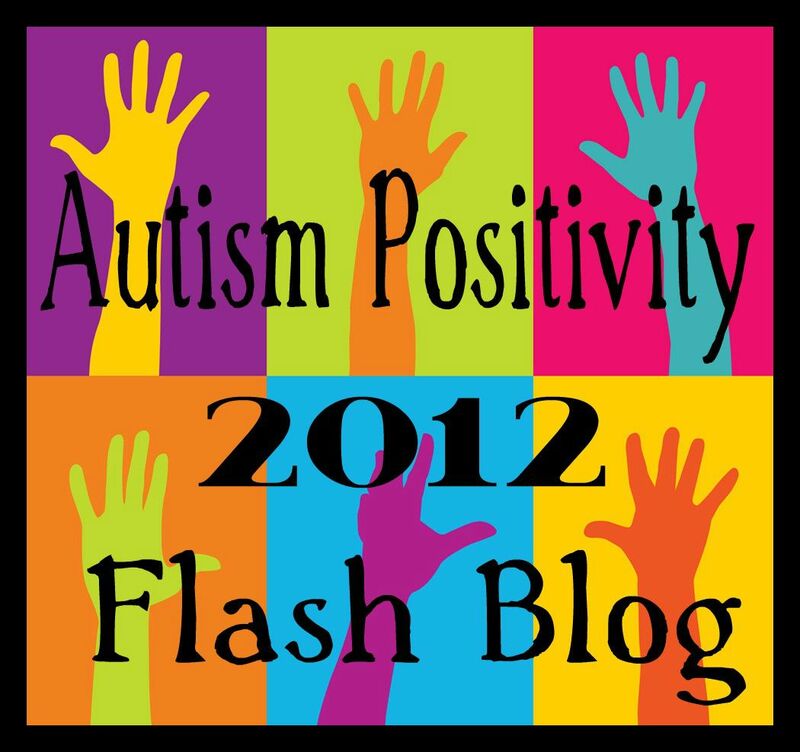 Please join with us on the last day of Autism Awareness/Acceptance Month – April 30th – in a flash blog of autism positivity. Here are my words… the words of a mother. I have a child with Aspergers and I love him to the moon and back. Everyone has something that makes them stand out, unique. There is no such thing as “being like everyone else”. Some people wear glasses, some people are over weight, some people are very tall. And some people have Aspergers. Don’t let it stop you. Don’t let your “thing” define you or hold you back in any way. God makes no mistakes and he knew what he was doing when he created you. My child is funny, lovable, independent, emotional, loves baby animals, loves swim team and playing magic. He loves his brother and his friends. He likes going to the movies and shooting archery. He gets dirty when he goes outside, reads about castles and knights and loves to play with legos. He does not like to take a shower and would rather be camping then in school. He loves the beach. He cuddles with his grandparents and laughs with his cousins. He is a cub scout. He dreams of being an archeologist. He is just like every other 9 year old boy I know. And he has aspergers. You belong to this world. This world needs you. Friends… please “like” the blog and/or post it to your facebook page to continue the FLASH. The goal is… that is any other person every searches with these terms again, they will find us and know they are not alone. This post was originally published at http://bebeccalee.wordpress.com/2012/04/30/bebeccalee-to-i-wish-i-didnt-have-aspergers-autismpositivity2012/ and is reprinted here with permission from the author. They are some of the most amazing, dedicated, talented, and wonderful people I have ever met in my life. I learn way more from them each year then what I teach in return. Through out the rehearsal process we discuss what the actor’s want to accomplish. This ranges from having fun, to learning new things, to hone their talents. And to show that we can do it to. So I say this to anyone who is made to feel like they don’t belong, or made to feel like they can’t succeed: Yes. You can. Simple, but true. Turn away from those who tell you no and there will be a supportive community there to tell you yes. Sometimes they seem hidden from you and unfortunately you may have to search. But we are here. This post was originally published at http://fabautistic.blogspot.com/2012/04/fabautistic-to-i-wish-i-didnt-have.html and is reprinted here with permission from the author. Where do I start? I am often perplexed when I see statements such as “I wish I didn’t have Asperger’s” or “Autism/Asperger’s is a curse”. I wonder what could have happened to make a person feel that way. I hope I don’t come across as judgmental. That is not my intention. You see, I have lived a life filled with abuse. My parents did and said many things to me. I was bullied in schools, church and Girl Scouts by teachers, leaders and peers. I was even bullied by my hair dresser, who used to viciously yank my hair every time she combed it and tell me it didn’t hurt. A family member once pulled a friend of mine to the side to tell them I was stupid and naive. In all of that, I never once wished I was anything other than what I am. Of course I secretly wished for a new family, but never took the blame for what they chose to do to me. I want you to know that you are someone special. You have a voice in this world. You are not to blame for anything wrong that someone else has done to you. If you have been abused or are currently being abused, know that it is not your fault. It is the abuser’s choice that they do what they do. They have their own reasons and more than likely those reasons have nothing to do with you. Abusers live in their own hell and many times are unable to break the cycle of abuse. This is not an excuse by any means. There are no excuses for abuse. It helped me to know that my abusers were people that had deep seeded problems that had not been dealt with, so they chose to take it out on someone they considered to be weak, me. In all actuality it is the abuser that is weak. They are not strong enough to face their own issues. They are not strong enough to stop abusing and get help. They seek unconventional ways to make themselves feel better which is usually hurtful to someone else. Eloquent in expression, however we chose to express ourselves. Life can be difficult, no matter what the circumstances. Embrace who you are and all the wonderful attributes you have. It may help you to find someone that you can talk to, perhaps join a group on face book that makes you feel comfortable and safe; a place where you can share your feelings and experiences in a warm supportive environment. This post was originally published at http://katscafe.org/2012/04/30/kats-cafe-to-i-wish-i-didnt-have-aspergers-autismpositivity2012/ and is reprinted here with permission from the author. 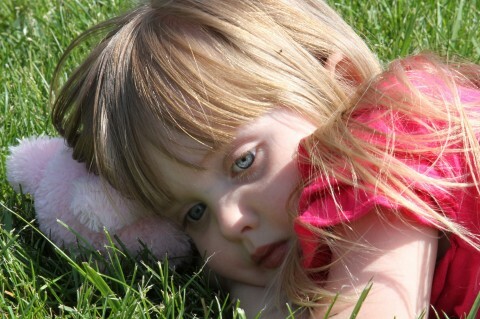 It’s hard dealing with autism in the family, and I won’t lie, there are days when I am overwhelmed and out of sorts with too many questions asked repeatedly, (no desire to do) potty-training, too many doctors, and not enough time or therapy to do everything I want to for my children with autism. But there is one thing I do know – I wouldn’t trade it for the world. As I struggled to write something to “I wish I didn’t have Aspergers” I realized that I was, in effect, writing potentially to one of my own kids, or to Jim. And as that thought hit me, I realized the greatest fear I have for my boys, all of them, is that they’ll give up on the world around them, give up on themselves, give up on the hope of a future that seems so very far away today. Everyone has a different idea about what autism (or aspergers) is, how to diagnose it, and whether one therapy works better than another, or one diet works better than another. But at the end of the day, how you react to having autism isn’t found in how you treat your autism. Sometimes, in the ongoing struggle of every day trials, of things that don’t make sense and never will, or situations that are uncomfortable if not downright impossible to deal with, it’s easy to lose sight of the fact that YOU (or your child) is an individual FIRST. Autism is always second to who YOU are where it counts. Don’t let the stigma of the diagnosis, the thoughts of the uninformed, or your own depression, let you lose sight of that — YOU matter. Not the diagnosis. Not the label. Not whether you make great progress or still struggle. YOU. Let yourself shine! I don’t know if you are reading this as another parent, overwhelmed with the diagnosis of ASD, as a young adult (or mature one) new to the late diagnosis of Aspergers, or as any other person struggling to understand the diagnosis … hating it, even. But you shouldn’t give up hope. Not hope for a cure – because I don’t believe in cures for things that aren’t a disease (autism is NOT a disease!) – but hope for something better. Therapies, dietary intervention, new understanding of neurological and environmental causes – these are being discovered, used, and are successfully helping many with autism spectrum disorders every single day. With time, and effort, you can make the kind of progress you need to feel like you fit in with the rest of the world. Or course, fitting in isn’t the same as being yourself, always. So please, don’t give up hope that YOU can be YOU, an extraordinary person with something magnificent to offer this world. Keep hoping that the rest of the world will see you as the unique and amazing person that you are. Because I can guarantee you that others already do. Over the years, a lot of doctors and therapists and teachers and friends, and yes, even family, have told us that our boys couldn’t succeed. That they wouldn’t be able to walk. To talk. To learn. To be … to be as amazing as they truly are. It was hard to hold on to our determination that our boys would NOT be the equivalent on any diagnosis or prognosis, but that they could always be more than some words on a page. That determination wanes sometimes, when therapy doesn’t seem to make the progress we’d like … but it’s there. Determination is what helps dry the tears and quiet the fears; it’s what is left behind when others try to dictate who you (or your kids) will be; it’s what you hold onto when you are tired and scared and lonely, when the world seems overwhelming and confusing. Determination will see you through the storms in your life; and help you embrace them and rise above them. Determination is your friend. Never give it up. If you are the parent overwhelmed and unsure, caught up in too many of the negative things about dealing with autism … give yourself permission to be overwhelmed. Give yourself permission to be unsure, to be scared, to want to give up … but use that emotion. If you can’t redirect those kinds of emotions, they will overtake you, and they will strip your determination from you. Your child needs you to give them that hope, that determination … the world is a scary place when they are trying to find their way as well. When you are overwhelmed, they are right there in the thick of it with you. Learn to embrace the positive, the good, the unique, the loving, the innocent, the mischievous … and remember that these are part of your child as well. Help them to see that, and you will appreciate it too. This post was originally published at http://fairytaleforgotten.blogspot.com/2012/04/to-i-wish-i-didnt-have-aspergers_30.html and is reprinted here with permission from the author. Oh, sweetheart. I’m so glad you clicked to here. Please come here and sit by my side and tell me your story. You see I’m an Aspie, too, so I get it. I get how hard it is to communicate with others. I get how frustrating it is to never really know if people are being sincere to you or not. I get how bad you want to scream because people won’t just say what they mean and mean what they say. I also get why it’s so heartbreaking sometimes to be a parent to a child who struggles with Asperger’s or Autism. 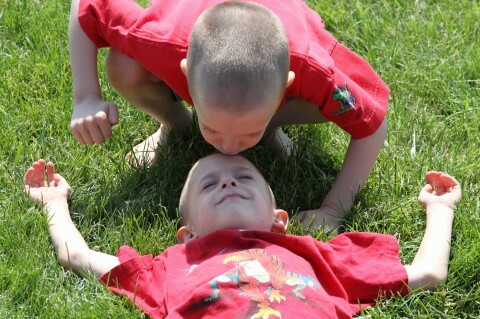 I’m a mommy to twin boys who are both at different points on the spectrum, too. These boys and their little sister are the lights of my life. I know you’re struggling right now. I know you’re looking for answers, maybe even a cure. I make this request of you, please don’t ever wish away a part of yourself. Your Asperger’s makes you unique. It makes you beautiful. It makes you see the world differently than everyone else on the planet. You don’t think like others so you’ll never be “just another fish in the pond”. Your thoughts are valuable. Your point of view is priceless. You are heard. I’ll be the first to stand up and offer you my hand, or my ear, or my shoulder…whatever you need to make yourself feel supported. We’re out here. We’re parents of others in your situation. We’re people who live with Asperger’s or Autism every day of our lives. We’re siblings of brothers and sisters who are on the spectrum. We’re grandparents of individuals with Asperger’s and Autism. We’re people with success stories to share, with happy memories to make, with dreams we are one step closer to fulfilling every day…we’re people like you. I know you’re struggling. I know your heart may feel shattered right now. Just please remember that we are here. We are a community of friends online and in real life who will walk with you, cry with you, talk with you, and rejoice with you over victories both big and small. We are open hearts and open minds. Seek us out any time you need us and we will be here. Please know that it gets better. The world is slowly starting to realize how important it is to know people like us and to understand how to reach and be reached by us. We are gaining acceptance to the outside world but just know that here you are accepted. You are completely accepted. No caveats, no requirements, no “if only’s”. You are accepted and you are welcomed with open arms. The search that brought you here has brought you to a safe place. It has brought you to a place where you will be heard. It has brought you to a jumping off point to a magnificent community full of people who get it. You can click on any blog link to the right and they will take you to someone else who will accept you and I am adding to this list almost all the time. You are part of a wonderful community that you never knew existed. Stay a while and get to know everyone. Once we get to know you, we will take every opportunity to remind you of just how great you are, Asperger’s and all. I promise. And I don’t break promises. I’m here for you. Just take my hand.